The people who attended the meeting were: Eduard Rifà, Royston Saint Noble Villaverde Zubeldía and García Guillén. Despite the lack of success in these meeting, a second meeting was called under the pretext that in the first they had just formed a technical committee to draw up the rules of the organization and now they wanted to expose them. This time “Radiosola” office was crowded and could establish the “Associació Nacional de Radiodifusió (ANR). 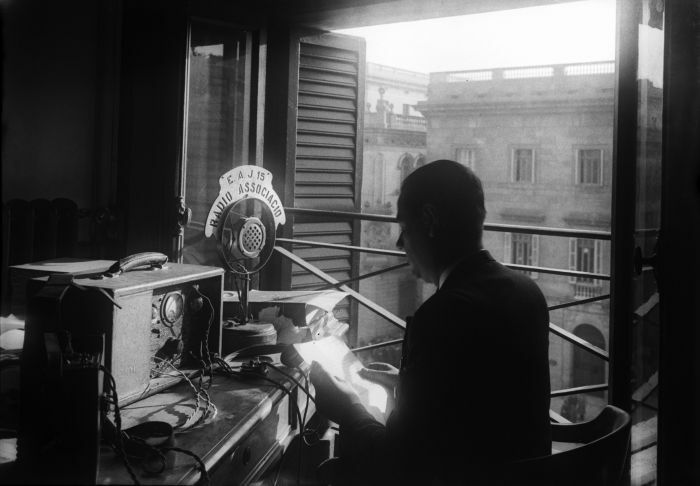 In February 1924, a committee consists of: Noble, Rifà, Huet, Villaverde and Guillen, is responsible for developing an application for a radio station license that is presented to the Dirección General de Telégrafos. Rifà moves to Antwerp to buy the first radio station in Spain and the third in Europe. The device is from Bell Phone house. The tenth of October began the radio broadcasting test. The license is granted on 12th of November. It owned to the ANR, RÀDIO BARCELONA EAJ 1. And two days later, on 14th, the radio station is officially inaugurated by Baro de Viver, the Mayor of Barcelona. He made the first speech relayed by radio. 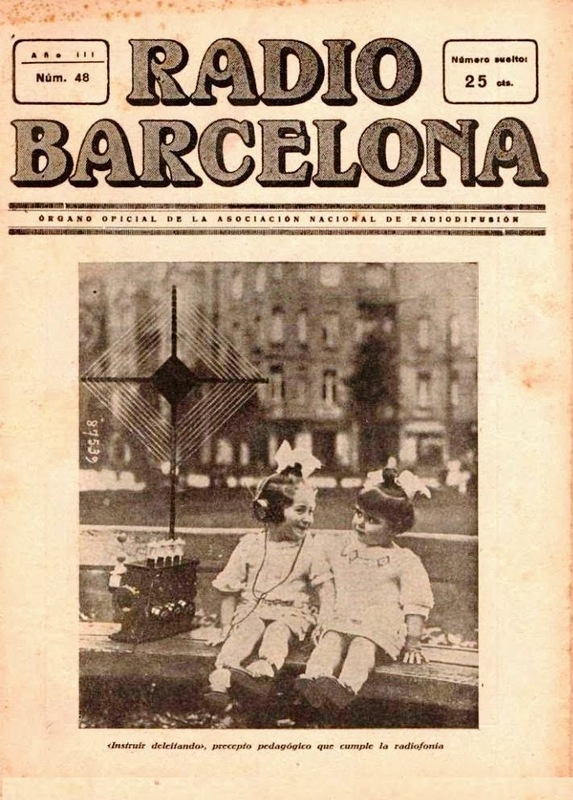 At that time, Barcelona had 60,000 listeners. Only 1,000 were associates of the ANR and contributed with a monthly fee of 5 pesetas. This was the only source of income for theANR to run the radio station but it was not enough. They insisted on listeners, who were not members of the ANR, and benefited from the broadcasts without paying the installments, to become members. These people were the first to criticize any programming or technical anomaly, without understanding that with their contribution, technical improvements and programming will be resolved sooner. In one of Eduard Rifà articles, mentions the London British Broadcasting as a model station thanks to the support of its one million associates. In February 1925, it is proposed a voluntary fee of 3 pts for those who wanted to collaborate as the 5 pts paid by shareholders were considered too high. In addition, a stamp of 1 PTA is issued and can be purchased at authorized stores. To all of these problems, is added the appearance, of the “Radio Catalana” (Catalan Radio) in June 1925. This radio station, along with some other station, interfered constantly theEAJ1 Radio Barcelona broadcast. In Madrid, “Union Radio” is created with the support of a solvent financial group, which gradually will want to appropriate all the radio stations from other Spanish provinces. In September 1925, the ANR had 2,500 members and half dozen industrial managers to cover the costs of the concerts. To improve the quality of broadcasting and to eliminate interferences and noises, they were thinking to open a new radio station of 2 and a half Kilowatt of power in antenna and 10 kW in the generator. It was the first of its kind in Europe. Manufactured by International Western Electric in New York, was acquired to Bell Telephone Company, SA, which wanted Barcelona radio station was inaugurated at the same time the one in Milan. But problems in finding a piece of land where they can locate it, did this could not be possible. It will take two months and a half to find a place for the new Barcelona Radio. Finally, thanks to Dr. Andreu and Mr. Rubio, the Western is installed in Tibidabo, at the Hotel Florida. The radio antenna was 582 meters above sea level. This new station had a rangebetween 80 and100 km. Theywanted toend the regrets of most cities and towns of Cataloniareceiving noRadioBarcelona broadcast well.A competition was heldto finda selective device of radio waves to eliminate interferences from some stations on the other. Due to radio was a new device and much information was not available, the ANR had to conduct an information campaign on this invention so strange to most of people. Apart from that, many radio telephony device stores had posed as “good”receivers that were not,causing inconvenience to the listeners who blamed the ANR for not listening programming in good conditions. Then, the ANR, decided to create a laboratory and an office so that people could ask whatever they want and learn about what the best device was. In addition,a hall mark is stamped to those devices with better output. The struggle to push through the station is constant and in 1926 began talks with Union Radio Madrid to try to solve some financial problems. But what started well ended badly. As for the ANR, radio was the ideal place to spread the culture and provide services to remote locations (rural areas), for URM the radio was a trade activity, a business with a great potential for expansion. So, disagreements would soon arrive. Initially, The ANR maintains independence in making programs and partner’s money is intended to cover the costs of the concerts, offices and personnel depending on the Association. But many partners do not like to rely on a centralized company and they decided to unsubscribe to ANR. The ANR, overcoming again and again obstacles that arise, does not stop working for the radio. The 4th of February, 1927 the Meteorological Service radio was launched. It was proposed by: Father Manuel Cazador, a very passionate about meteorology and radio from the school for orphans” the Holy Family” situated in Sant Julia de Vilatorta, and with Josep Pratdesaba, an astronomer of Vic. 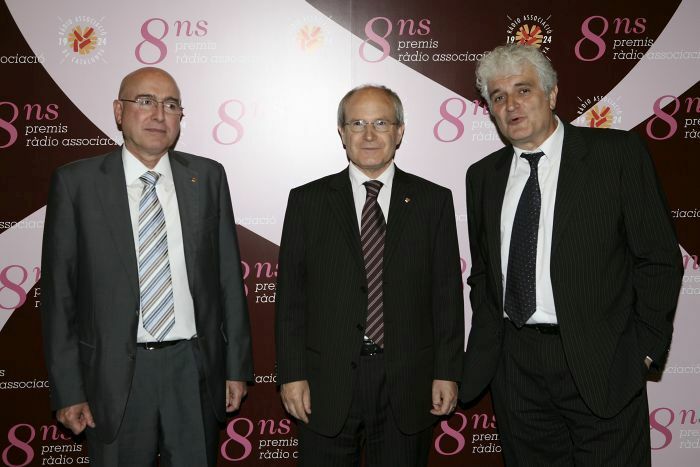 “Quintet Radio Barcelona” is created. Moreover, events are organized in Catalonia to attract more partners and spread radio broadcast. Most of the lectures were organized with the intention of preparing practical radioman and then to teach necessary scientific theories. Also a “charity radio” is created by proposal of the Oblates of St. Benedict. Other broadcasts were: Concerts of the Municipal Band of Barcelona, concerts of the Orfeó Catalá (the Catalan Choir), concerts of the Pau Casals Orchestra; opera from the Gran Teatro del Liceo; the exercises of Father Vallet, the”campaign for the good word” with Ivon Escop; Catalan literature conference by Adrià Gual; Aureli Campmany folk dissertations; language courses and pedagogy radio and cotton, sugar and coffee stock exchange. They also acquire a local to install the “Library of Fan”. The 2.5 kilowatts radio station is replaced by the 10 kilowatts one from “Standard Electric” house. 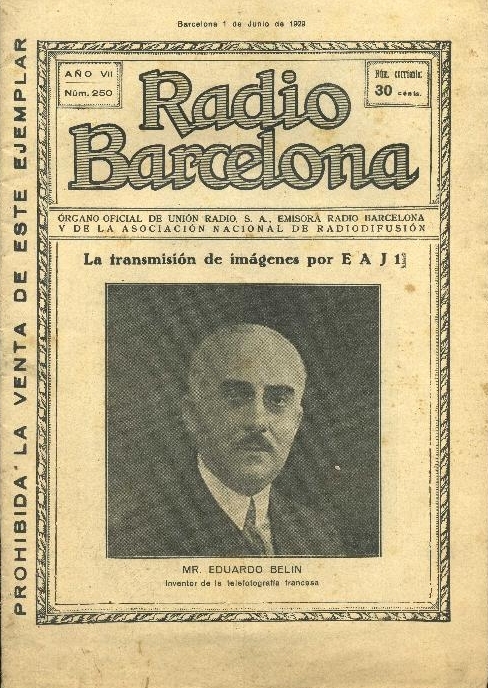 In April 1929, Joaquín Sánchez i Cordovés is named deputy director of Union Radio Barcelona. He is a young engineer who had previously occupied the position of Technical Director and is leading the RB Laboratory together with Dr. Baltà i Elies and Dr. García Banús an Organic Chemistry professor at the University of Barcelona. Joaquín Sanchez improves the broadcast and eliminates static noise, obtaining superior results to the manufacturer’s own house expected. It results in a more economical operation, doubling the power and had broadcasted for up to 16 hours. Some time before and as a consequence of the continuous investments that the ANR was doing, economic problems had made worse and a dirty war exploits by Union Radio Madrid to seize definitely the Catalan station. 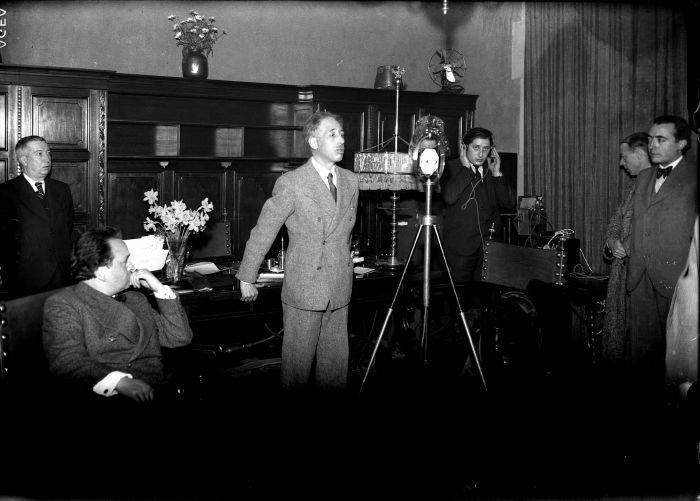 There were: records, slander, police pursuits and many others had to suffer the components of the Board, until, withheld 48 hours by order of Primo de Rivera at the General Direction of Security in Madrid on 14th of March, 1929 yielded the radio station. But Noble, Llorens and Rifà are left with Associació Nacional de Radiodifusión (ANR) financial. In Madrid are accused of fraud, but Catalans win the lawsuit after two years. As the financial entity belonged to 11,000 Catalan listeners who paid 3-5 pesetas each month, Union Radio could not expropriate it. 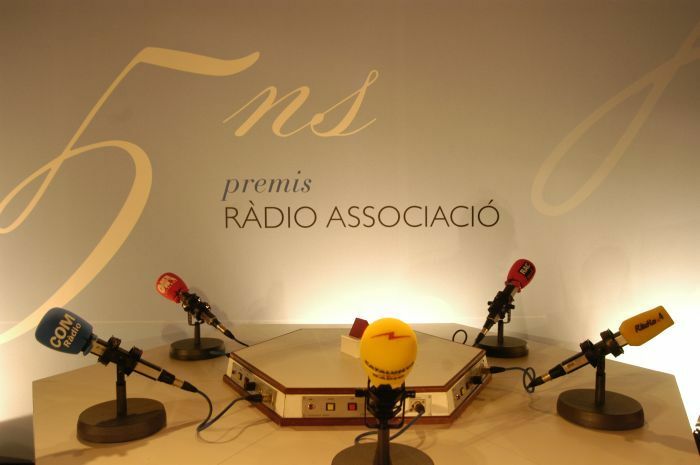 Union Radio Madrid wants ANR to disappear, as the absence of radio station had now any sense. But the ANR was the most important association of Spain listeners and they had demonstrated to the “Junta Técnica e Inspectora de Radiocomunicación” (Technical and inspector Board of Radio communication) who appoints them, his advisers on radio by Royal Decree nº 1712 26-VII-1929. The ANR is very clear. They have been deprived of the radio station “to propagate their ideals of culture, art and charity and has wanted to deprive of their income.” Fortunately, the latter has not been possible and the ANR must continue to apply for a new radio station and to expand the ideal of culture, technical, artistic and beneficial; organize radio technology courses; expand the library; continue with the conferences; complete radio pedagogy; pay dues to “Compañía Monopolizadora de la radio en España” (the monopolistic Company of radio in Spain); publish statements; create a job listing broadcasted and so on. The partners will appoint delegates to represent them at the Boards. 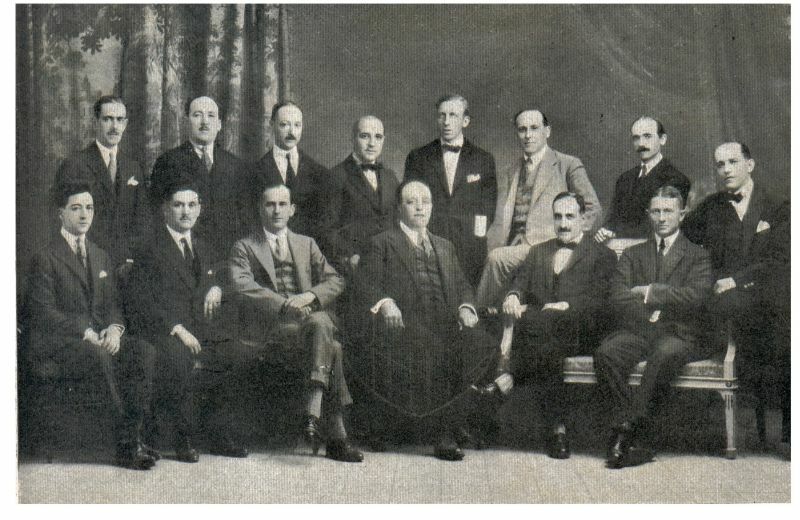 The 20th of November, 1929, Technical Board realizes the dirty game of the Radio Union Madrid and ends with the monopoly of this group, which had been absorbing too, the radio stations of: Seville, San Sebastian, Madrid, Cadiz, Bilbao and Salamanca. The ANR is granted a shortwave station (EAR 157) which broadcasted in a wave of 45 meters on Monday, Wednesday and Friday (not a public holiday) from 21:30 to 23:30 h with a news broadcast of the “Associació” and also a medium wave, the EAJ-15. 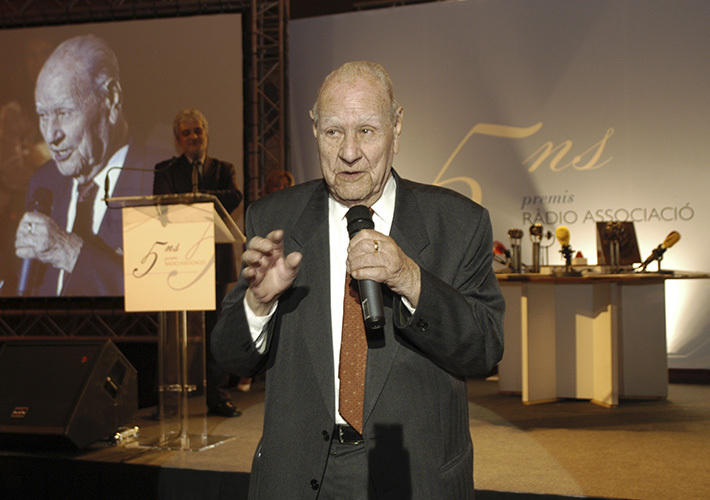 Juan Sabat i Valverde, President of the Association, convenes an Extraordinary General Meeting where, in addition to this news, manifests the desire for cultural stations without advertising; moreover, he requests a popular subscription to acquire the medium wave station of 500 watts that would be supplied by the French house Kraemer. 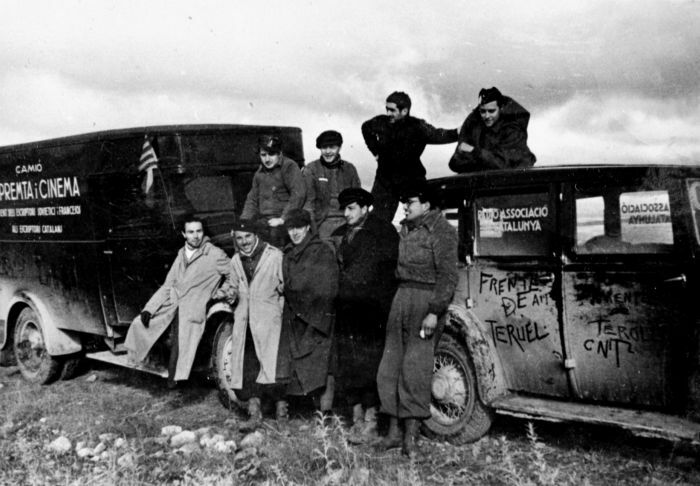 The 14th of April, 1931, Francesc Macià proclaimed the Republic and the next day gives full freedom of emission to RAC, which also makes the station available to the Government of Catalonia. The 21st of May 1932, Pablo Abad, a component of the group of researchers working for RAC, including Enrique Calvet, Vicente Guiñau and Homer Teixidó, achieves to issue the first picture through the radio. Only the French engineer, Elouard Belin had achieved something similar in 1917 with his “belinograph” a machine which could transmit photos by telephone from one place to another. Pau Abad perfected it after 10 years of study with a transmitter device where a photocell read the image to be transmitted and transformed into electrical impulses traveling through radio waves and arriving at radio-broadcast receivers reproducing the original image. They were the first TV tests. 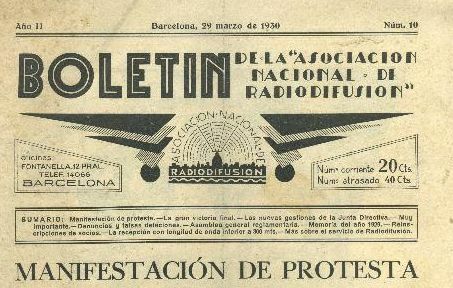 The 29th of January, 1933, Associació Nacional de Radiodifusió changes, in Assembly, the name to Ràdio Associació de Catalunya. In December, they had passed from Civil Society to Cooperative Society. 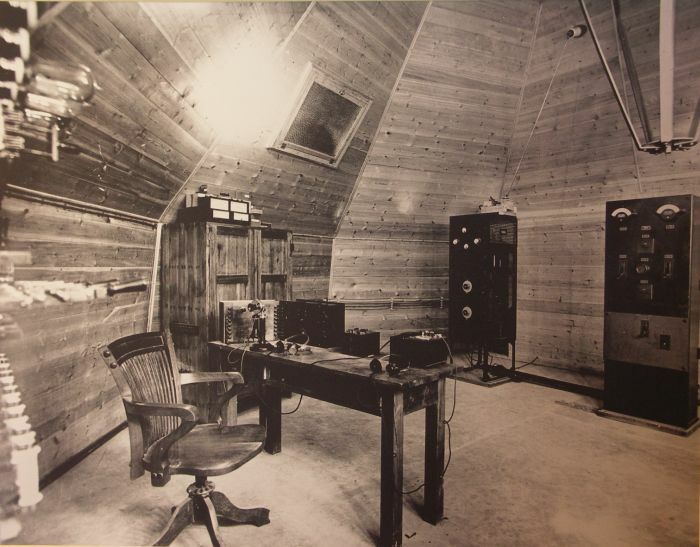 In 1933 as well, the company inaugurated Radio Girona EAJ38 and new studios in “La Rambla” street of Barcelona. 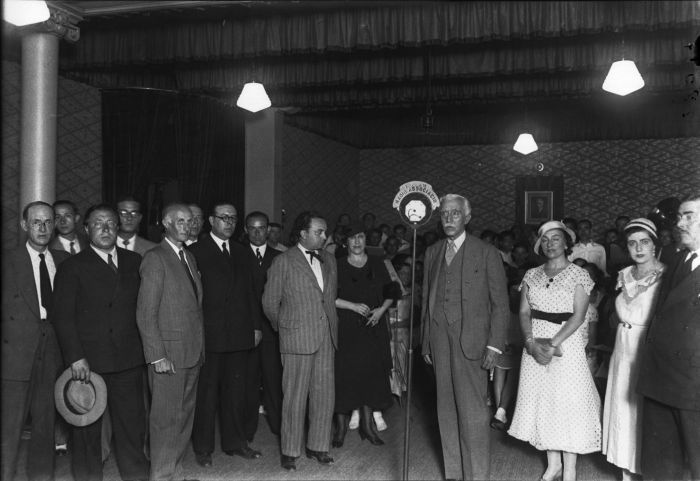 In 1934, Radio Lleida EAJ42 was inaugurated. In 1935 the RACsc, edits the evening newspaper “L’Instant”. During the civil war, RAC becomes the radio that emits: proclamations from the front or to the front, bombing notices and reassuring, mobilizers’ messages, etc. 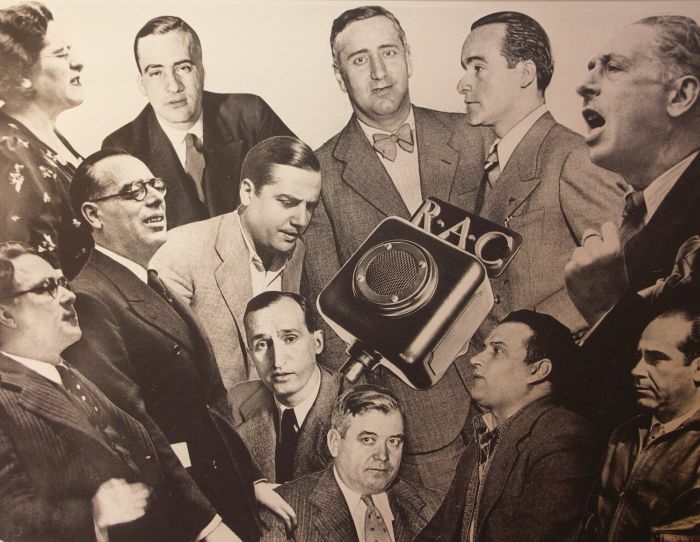 Finally, on January 26, 1939 RAC is occupied by Franco’s forces, and becomes “Cooperativa Radio España”. Thereafter, and throughout the dictatorship, Catalan language was forbidden and it was mandatory to connect with the news of “Radio Nacional de España” (RNE), a radio station created by Franco. The 8th of April, 1941, the Francoist regime proceeded to the liquidation of the cooperative, and they notified to the members of the RAC by written. It is alleged that the settlement has been agreed at an extraordinary General meeting, which partners do not know anything, and established in Article 43 of the statutes. But Article 43 says nothing about the dissolution of the cooperative and it does Article 38, which states that the agreement of three quarters of the partners, up to date with payments, is necessary to dissolve the company. Thus, the August 7th, 1941, the cooperative was turned into a Public limited company and renamed into Radio España Barcelona. The new company was formed with a capital of 600,000 pesetas. (6,500 registered shares at 50 pesetas, 550 shares of 200 pesetas and 330 shares of 500 pesetas.) A share option of 50 pesetas of the new PLC is sent to a few former partners, but is not allowed to attend meetings if they do not have more than 500 pesetas in share options. The large block of shares is in the hands of those who occupied the company on January 25th, 1939. The S.E.R. (Sociedad Española de Radiodifusión -Spanish Broadcasting Company) buys the share options: 44% of them are yielded to a banker; 12% are in hands of one of the people who dissolved the cooperative and the remaining 44% were for the SER. A few months after the death of Franco, the countdown to recover Radio Associació de Catalunya (RAC) begins. 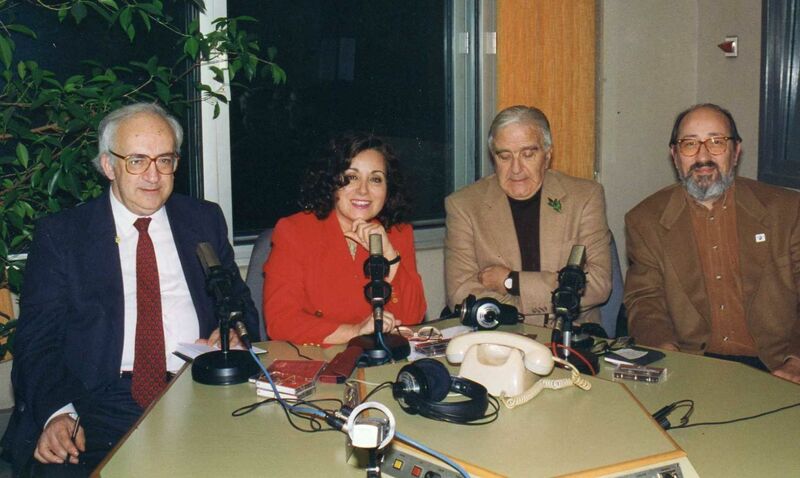 In a tribute to the speaker Rosalia Rovira i Duart, held in December 1976 at the Orient Hotel, those gathered there feel the need to recover for Catalonia its radio station. A Civic Committee is created to recover the RAC. Salvador Jordà i Olario chairs this committee. 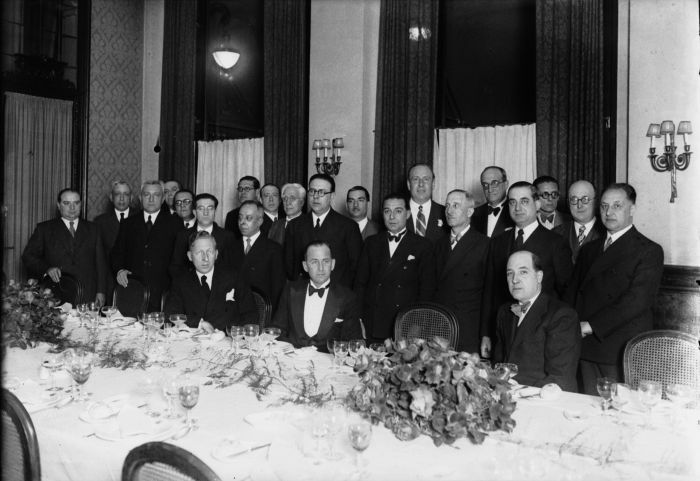 In 1977, the Congress of Catalan Culture is held. In this congress they provide support to the recovery of lost heritage during the civil war and dictatorship, and where the request of the RAC former members is collected to recover the Catalan radio station. Constitute a Cooperative Societythat wouldapplytothe country’s authoritiesa license to broadcast onFM again. Having legal personality to recover the despoiled assets in 1939. The 20th of June, 1980, a Board of Directors is chosen in order to appoint a committee to complete the formalities for obtaining the license. The 25th of January, 1982, Teodor Garriga, custodian of the RAC brand and many recordings of the Catalan political leaders during the civil war and dictatorship, yields to affidavit the trademark to the president of the Board of Directors of RAC. The 23rd of December, 1982, RACsccl obtained, with the agreement of the Executive Council of the Generalitat de Catalunya, the license of VHF and FM radio station in the municipality of Barcelona, with a power of 16,000 watts PAR and frequency 105 MHz. In the agreement of the 24th of May, 1983, the Board of Directors decides to assign the station to the Generalitat of Catalunya. Thus, on June 7th, Lluís Prenafeta as a representative of the Generalitat and Teodor Garriga, Ignacio Ponti and Jaume Biosca as representatives of the RACsccl, signed the transfer of the license. In 1988, the Executive Board, extended for 10 years more the commercial use of the radio station to RACsccl. The 17th of October, 1998 the granting frequency is ended and RAC wants to request an extension for another 10 years. But the current legislation does not automatically renew any longer concessions, only is canceled and the corresponding frequencies were out of tender and in the private sector exclusively. As RAC did not have enough financial capacity to carry out the operation of the radio station and to ensure the continuity of the concession, in Assembly of July 28, 1998, is accepted the offer of collaboration with a radio company linked to the Godó group: RadioCat. It was agreed that the RAC, as holder of the concession, will manage FM 105 along with RadioCat; Catalan will be the language used in the two new stations; the continuity of RAC 105 and a new conventional radio, called RAC1. Two delegates from the RAC will also join the Board of Directors of RadioCat. 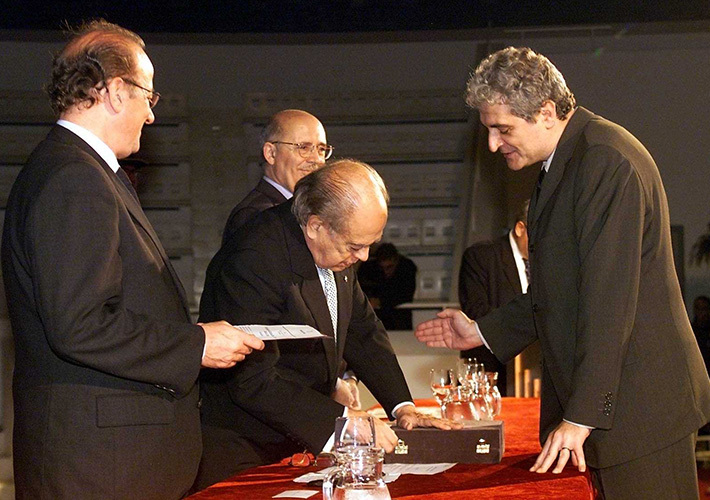 The year before, in 1999, Radio Associació de Catalunya received the National Radio Award of the Generalitat of Catalonia as part of the commemoration of 75 years of radio. And Services Cooperatives Federation gave the award to the outstanding Cooperative. In September 2000, it was awarded with the “Creu de Sant Jordi” (George Cross) of the Generalitat of Catalonia. 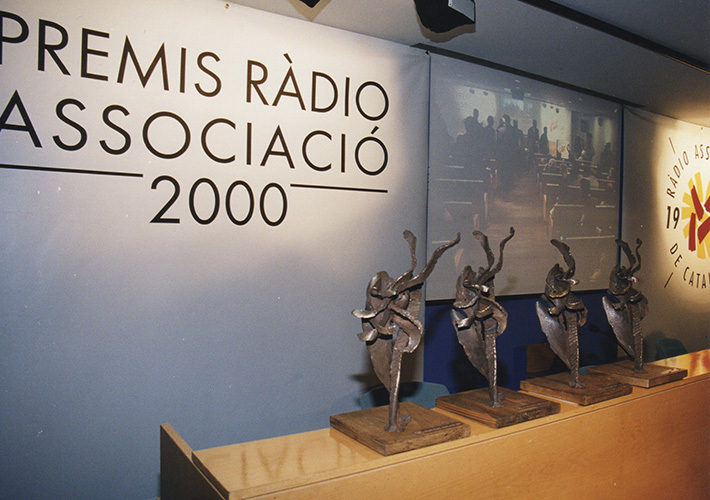 In 2001, it’s celebrated the first Premis Ràdio Associació edition.